Marine litter has been acknowledged as a major threat in many Mediterranean Marine Protected Areas (MPAs) hampering the achievement of their conservation goals. The impacts of marine litter on marine biota dwelling in Mediterranean MPAs -including endangered species such as cetaceans and sea turtles- remain poorly addressed and it is clear that prevention and mitigation measures are urgently needed. 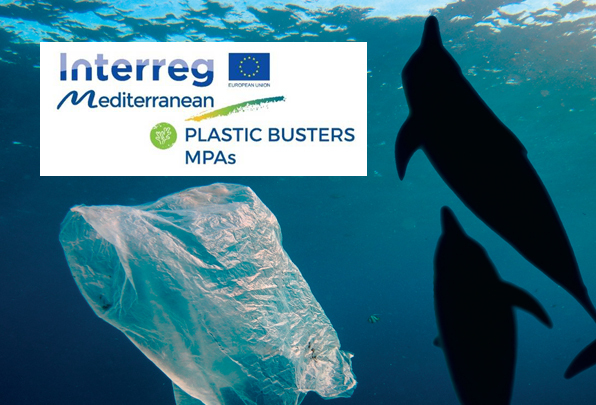 In April 2018 a new project entitled PlasticBusters MPAs kicked off with the aim to shed light on the impacts of marine litter in coastal and pelagic protected areas and consolidate Mediterranean efforts against marine litter. The project entails actions that address the whole management cycle of marine litter, from monitoring and surveillance to prevention and mitigation. PlasticBusters MPAs will deliver a quantitative and qualitative diagnosis of the impacts of marine litter in Mediterranean MPAs; strengthen networking of MPAs in improving the protection of biodiversity and ecosystems in pelagic and coastal MPAs; accelerate knowledge transfer to Mediterranean MPA managers and other key actors towards scaling up effective solutions to curb marine litter.